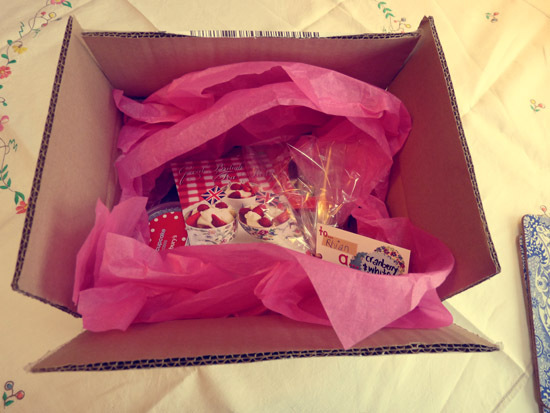 Last month I took part in a fun little parcel exchange called Foodie Penpals. 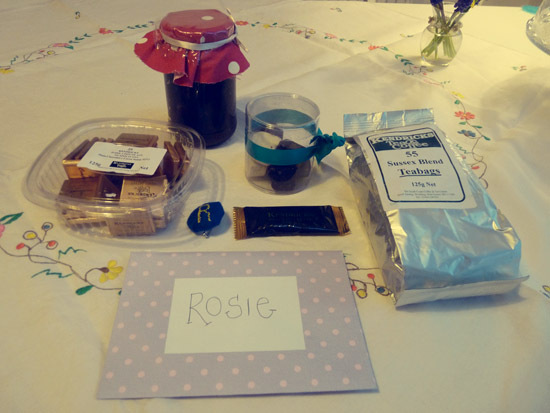 Foodie Penpals was started by Carol Anne at This is Rock Salt, the premise being that, on a monthly basis you send a thoughtful, food related parcel with a spending limit of £10. You are matched with a partner and you get to know their interests and likes and dislikes before sending them a parcel of goodies. I was partnered with Rhian, who blogs here and here – she is a part time cake decorator so I felt pretty nervous about sending her any of my own baked goodies! 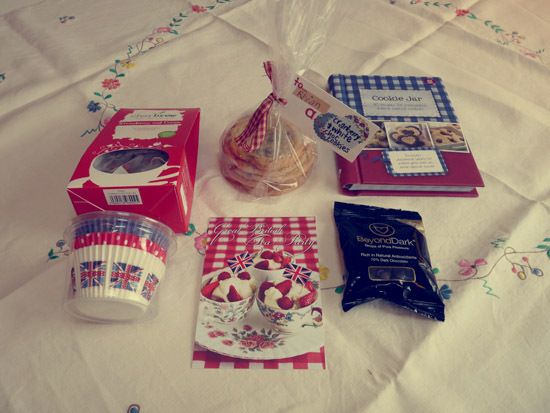 Jubilee party muffin cases, strawberry and cream tea, dark chocolate drops, cranberry and white chocolate cookies and cookie recipe book. I love trying local foods and visiting farmers’ markets and farm shops so when the lovely Sophie (who was partnered to send to me) asked me what I wanted in my parcel I asked her to send me some things from where she lived – she kindly sent me some Sussex tea, chocolates and biscuits, along with some more yummy chocolates and homemade goodies. Thanks Sophie!